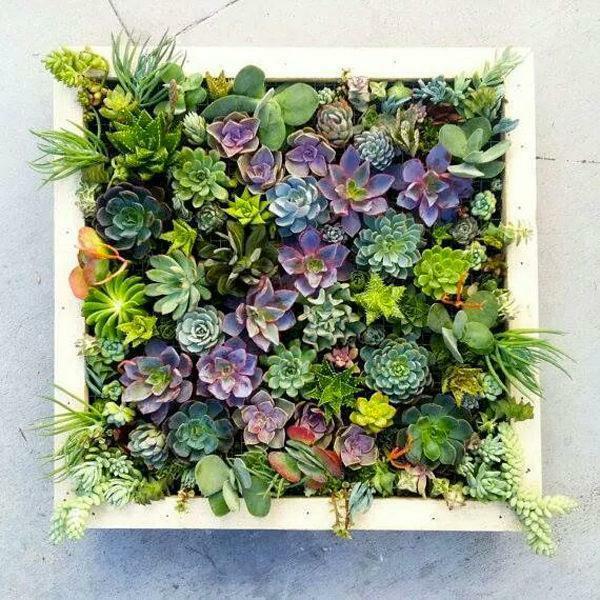 Make a vertical pallet planter to create an adorable indoor garden easily and inexpensively. 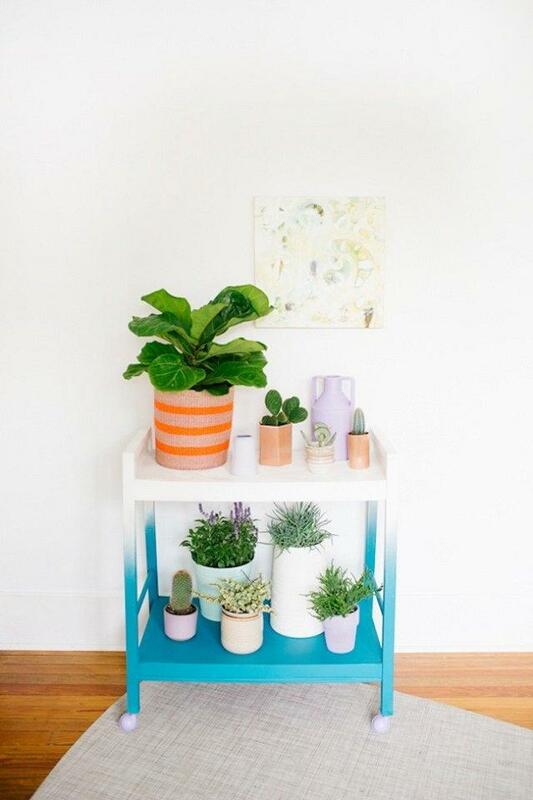 They’ll provide enough space for growing herbs and succulents without taking a much of floor space. Check out how to make one. A bit quirky idea! Use an old dresser to create a stunning indoor garden. 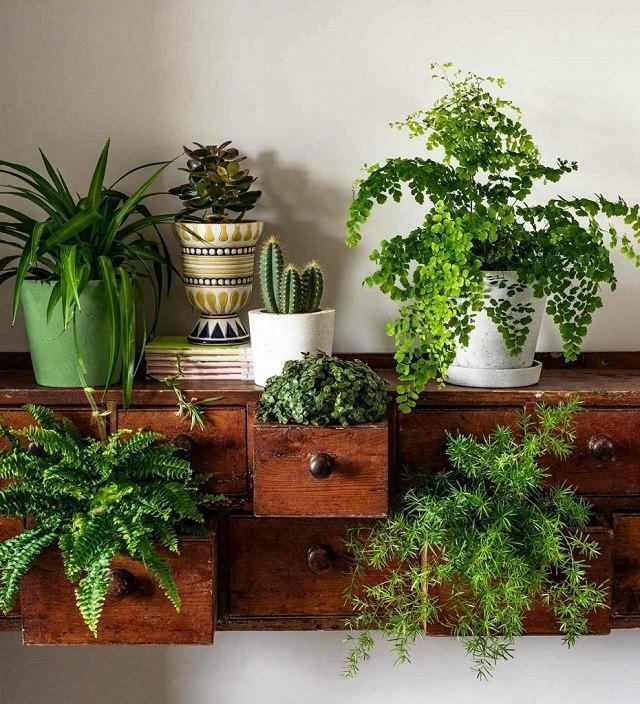 Plant some ferns and succulents in its drawers and also place some on top to create a beautiful indoor garden. 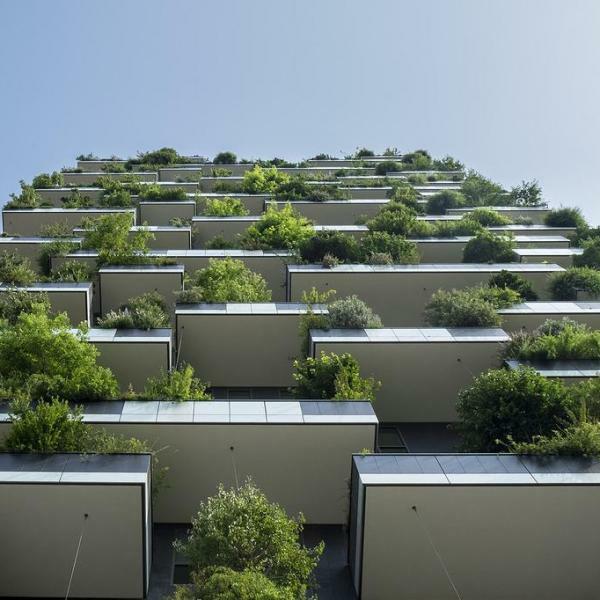 Previously we wrote a lot about the use of ladder planter in a balcony or rooftop garden. A practical idea! 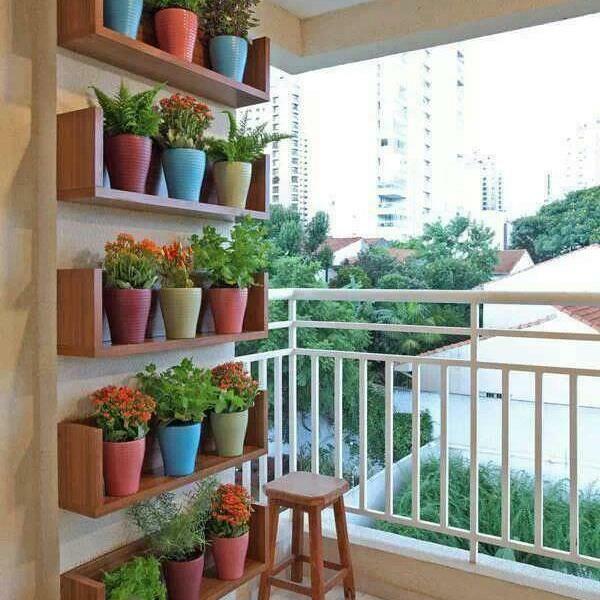 You can apply it to your indoor garden too! 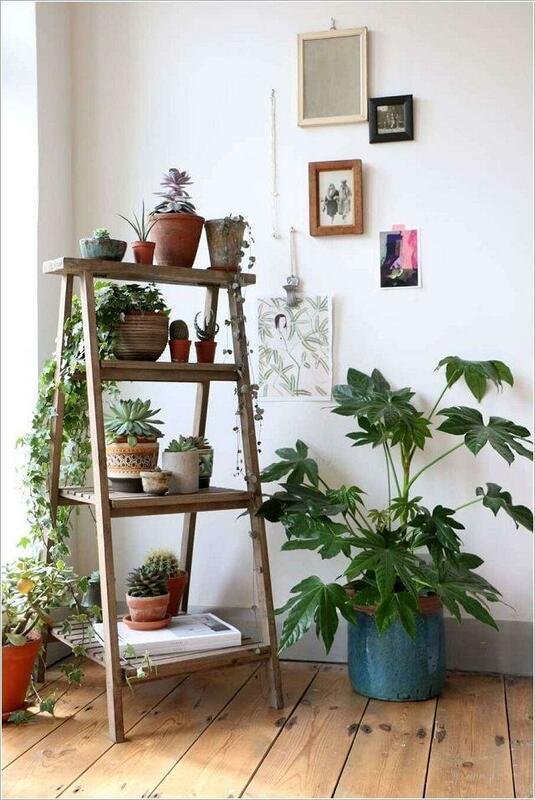 An old ladder is perfect to grow multiple house plants in limited space. To make this, simply add several wood planks on ladder steps to create shelves. 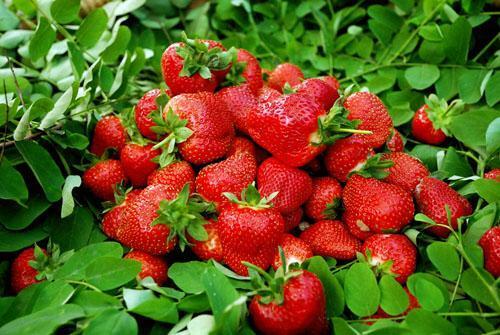 Then plants your houseplants on it but be sure to place houseplants that have similar light requirements. Here is more on it. 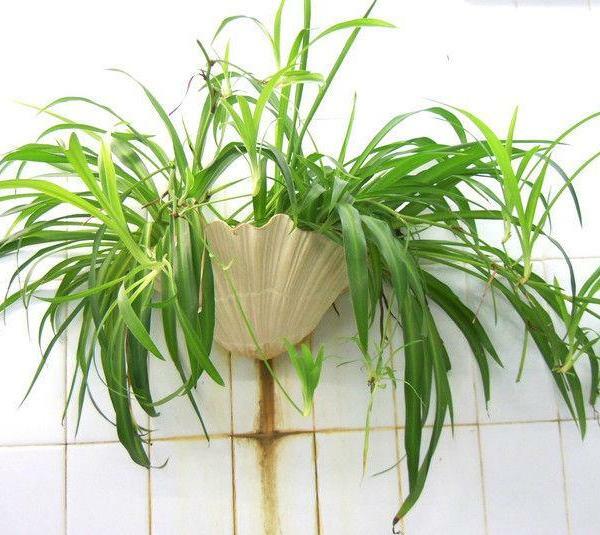 A unique (or say bizarre) way to display your favorite houseplants. This easy project only requires some scrap wood, rope, and a few basic woodworking tools. 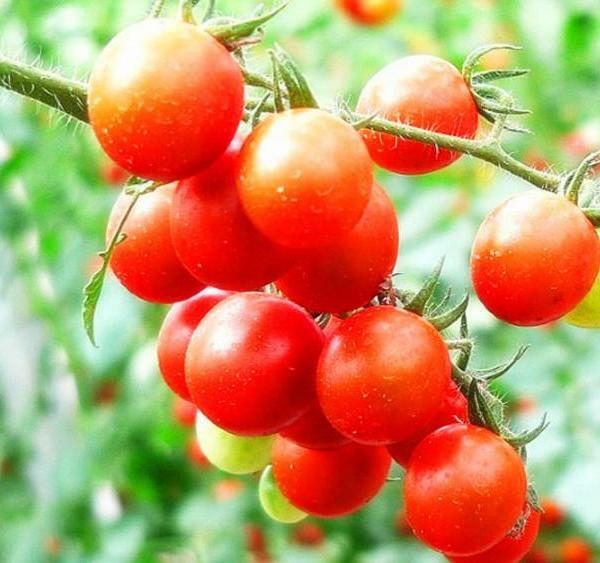 The best part is that the system makes watering a breeze. 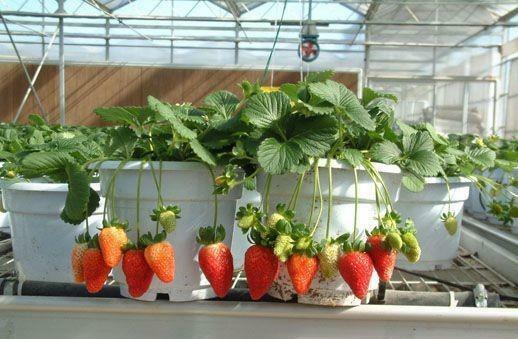 All the runoff from the previous pot drips into the plants below, so you only need to water the plant on top and be sure place a saucer under the bottom most pot. Here is the tutorial. Got an old TV Stand? 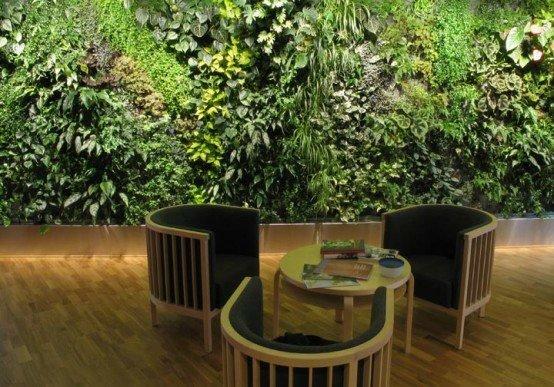 Make a vertical indoor garden out of it. This is a great way to recycle your old TV stand and transform it to a living beauty. You can either paint it for a fresh new look or use it as it is for a rustic look. 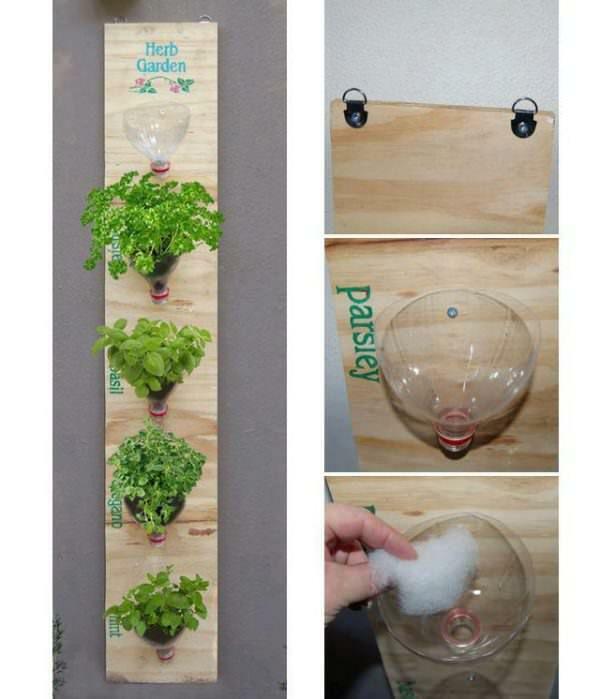 Do you want to create a vertical soda bottle garden? Follow this idea. 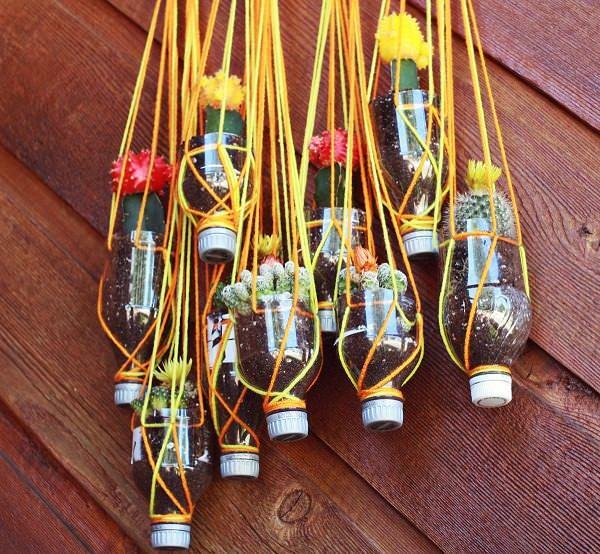 All that is required is bottles cut in half, cactus plants or succulents, and many colorful threads to get a really cool decorative look. Here you can see the complete tutorial. 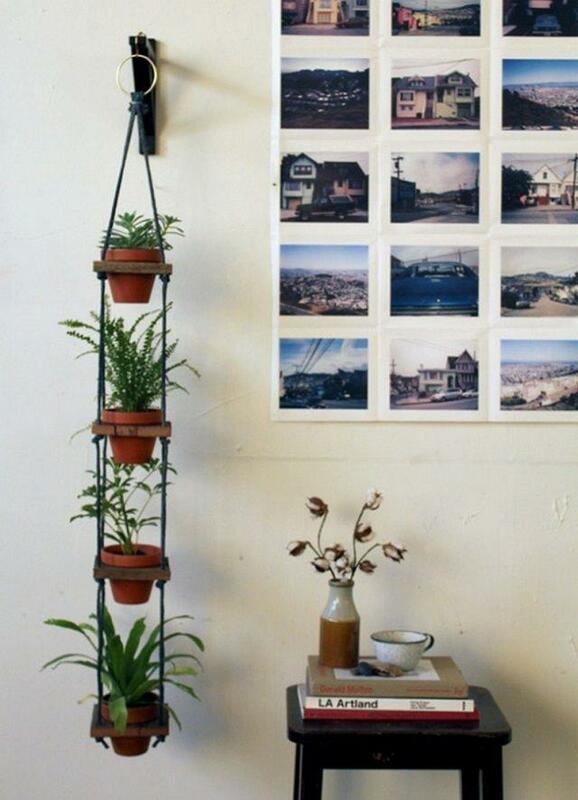 A hanging shoe organizer is perfect for your vertical INDOOR garden. 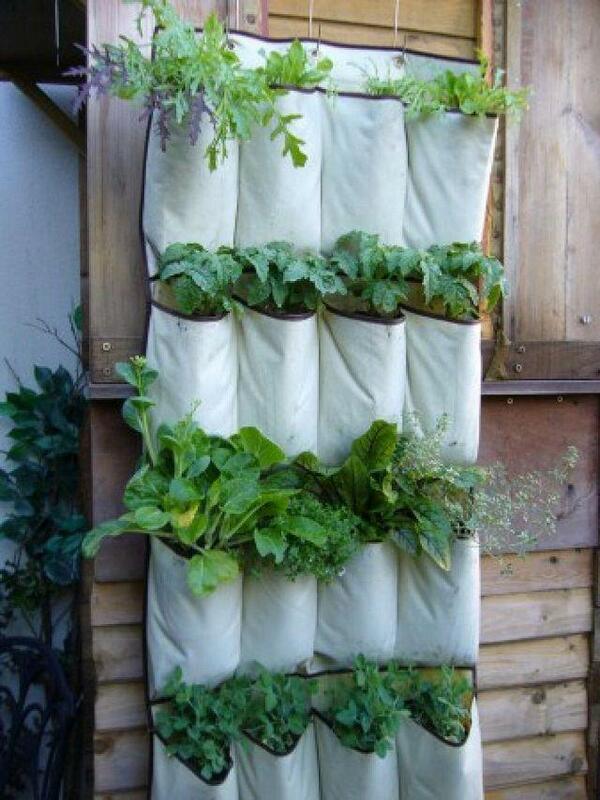 Its pockets are the ideal size for growing individual plants and herbs. Get the DIY instructions here. 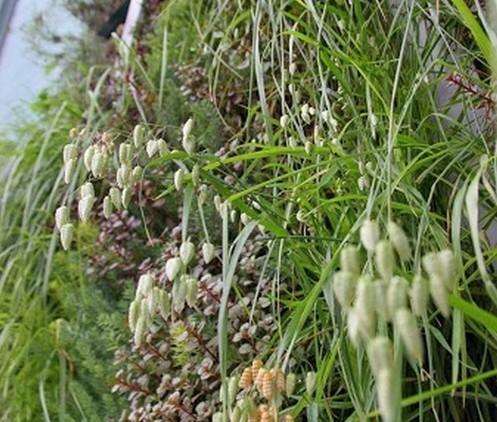 Want to grow herbs but you don’t have space (short of budget too)? Well, even a wooden plank is enough. 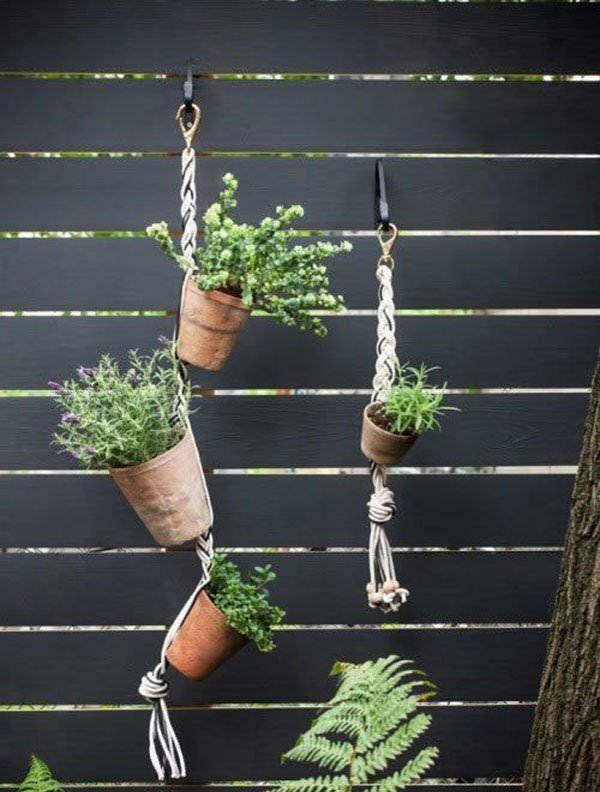 All you need is some plastic bottles, hooks, nails and hammer and you’re all set to grow your own herbs. 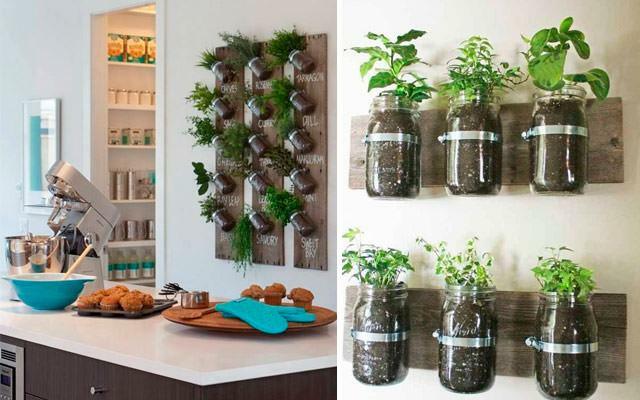 Don’t throw away those old mason jars, use them creatively to make an indoor herb wall garden. Metal bands and screws hold the jars in place against a scrap piece of wood that is mounted on the wall. 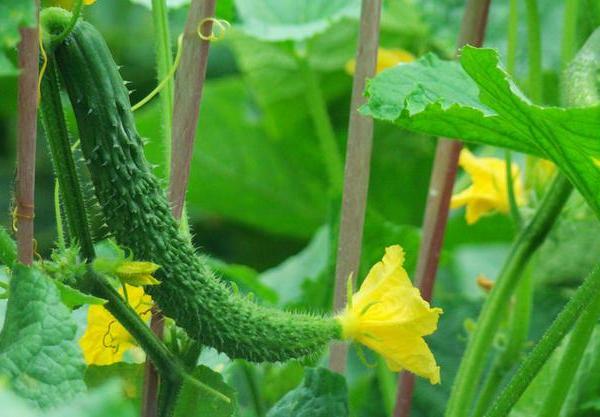 Fill in the soil and plant your favorite herbs to use them all year round. Read about more Mason Jar Uses here! 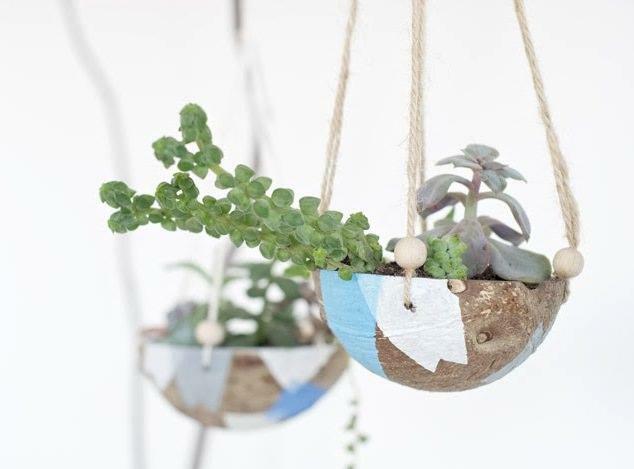 Use coconut shells after eating to create this super cute hanging indoor garden. 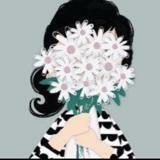 This project is unique, still simple and doesn’t require much. Check out the tutorial here. 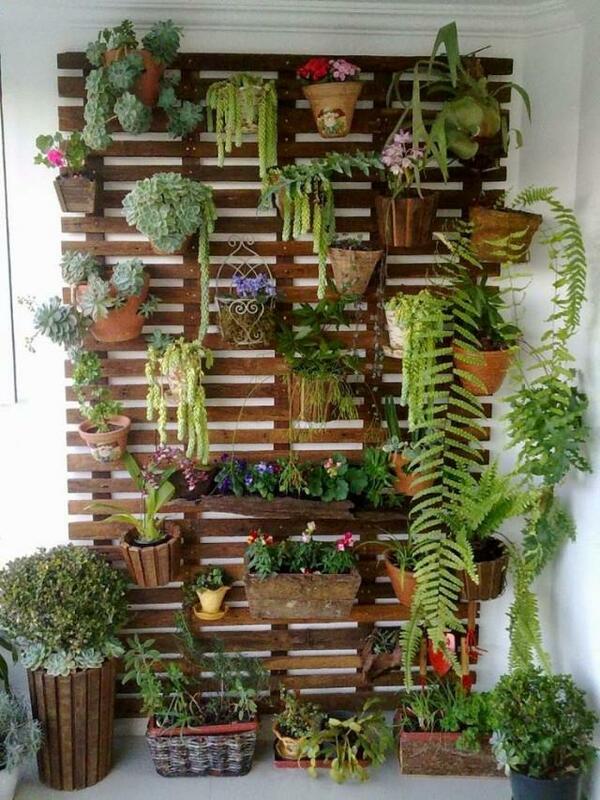 A cool idea for your room if it receives some sun to make it greener, you can hang a wall planter like this in your room. See the step by step tutorial on our website. 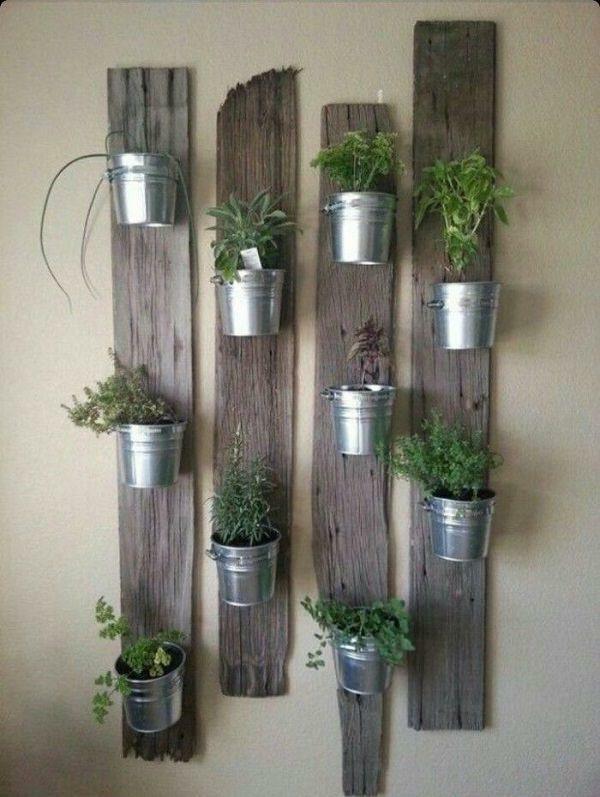 Dismantle a pallet board and separate the pallet planks; nail them on to the wall and fix the pots. Simple! 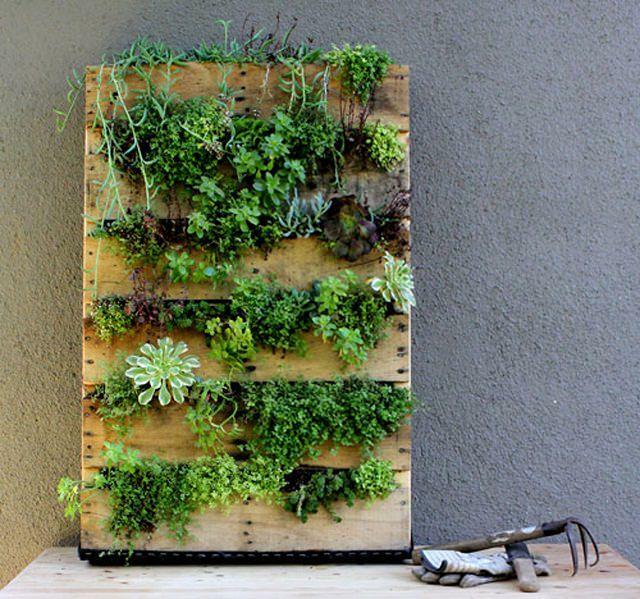 Vertical gardening is a boon for those who’re short of space. 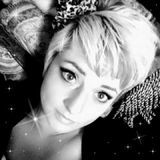 A tutorial is available here. 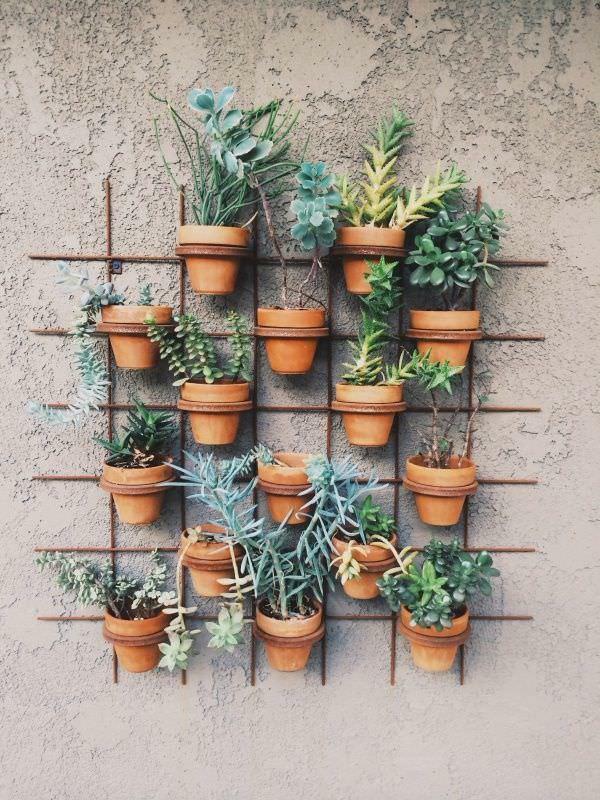 You can make a grid like this by welding the iron rods or weave them by any other method so that you’ll be able to hang the pots. You can paint that too in your favorite color. *The grid can also be made of wood.